Alrighty my friends - you all know that nail polish is the typical venue around here but occasionally I post about the VoxBoxes I get from Influenster (I have some invitations if you're ever keen to try them out) but for the most part, I gush about polish. But today I have something completely different to gush about. COMPLETELY! I'm a sucker for trying new things makeup and polish, and when Vanessa told me about Younique's best selling product, Moonstruck 3D Fiber Lashes, I told her HECK YEAH!! So today I'm pleased to show you this product. Applying the 3D Fiber Lashes is a 3 step process, and according to the instructions Younique recommends that you start with a thin layer of your favorite mascara, but you don't have to. 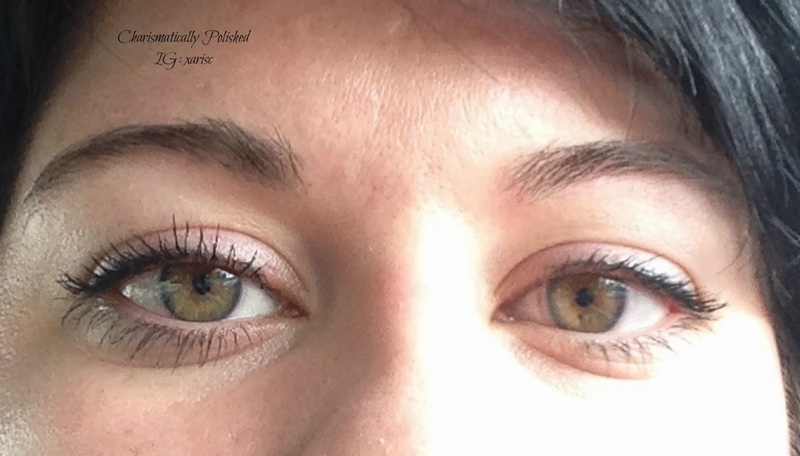 I've tried it both ways and I like using my regular mascara as a base, I think it helps maintain the shape of your lashes while the Fiber Lashes are applied. 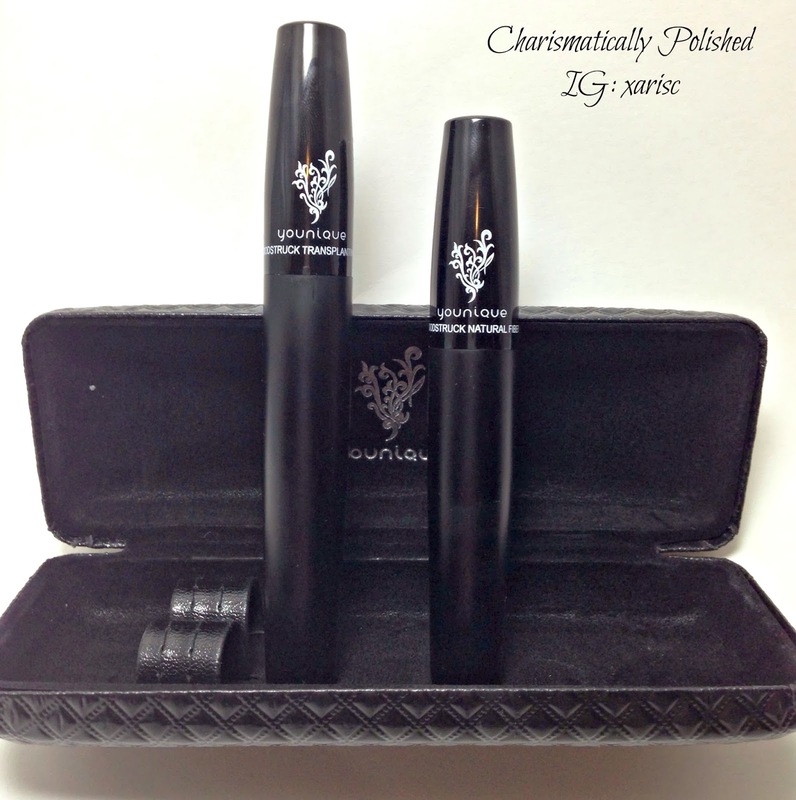 There are two tubes for this process, the long tube is the Transplanting Gel and the shorter one is the Moonstruck Natural Fibers - I would encourage you to have both of these tubes unscrewed and ready to go in your hand while you apply them as the Transplanting Gel will dry quickly on your lashes so you will get better results if you apply the Natural Fibers as soon as you can. Repeat again if you want additional volume/length. Be sure to wiggle the Transplanting Gel want from the base of your lashes (without touching your lid) to build up volume. Right eye (left, as you look at it) has Younique's Moonstruck 3D Fiber Lashes, left eye has no mascara. This was my first, original application, in my car while I waited to pick up my daughter from school. I was so excited to try it that I just couldn't wait to get home to apply it! On the left are my lashes with a light coat of my regular mascara - you can see that the lashes only barely extend past my upper lid. 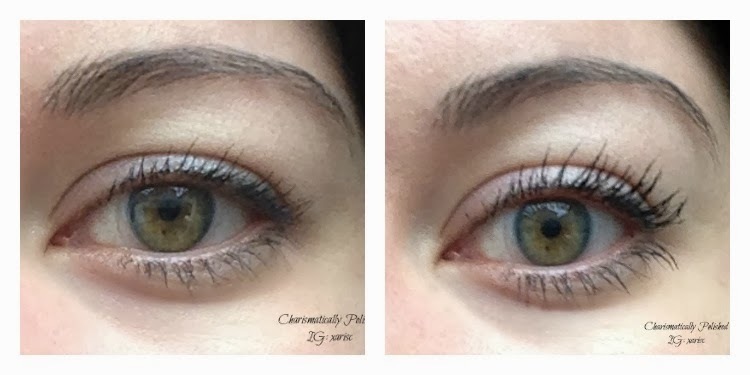 On the right, is after one application of the Younique 3D Fiber Lashes, you can see how much further they extend past my upper lid. I'm really impressed with this product - it's very simple and easy to use, but definitely packs a punch. You can use it for everyday wear or keep it for going out and it lasts as long as you need it it. The formula is water resistant but washes off with regular soap/face wash and/or makeup remover. These products were purchased by me for personal use and enjoyment. I was not compensated for this review, however this product was provided to me at a discount. Any and all opinions are formed from my personal experience. My experience with this product is unique and may not be shared by other consumers. Applications vary from person to person along with the products used in conjunction with this product. Looks like a great set! Your lashes are definitely longer and black using them too. I'm really impressed with them, Lisa! I'm excited to try out the other products too! The next best thing about this mascara besides the amazing results is that it's 100% all natural, paraben & gluten free and animal friendly (cruelty free!) 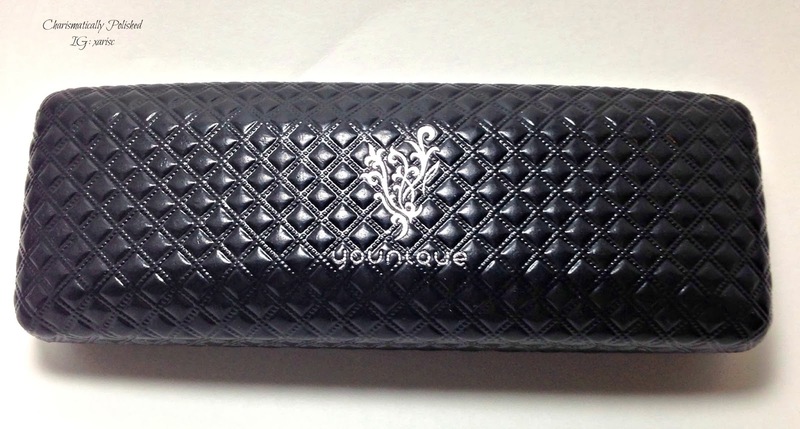 - it's truly the best mascara I've ever used!